After reading "The Night Before Christmas" poem. 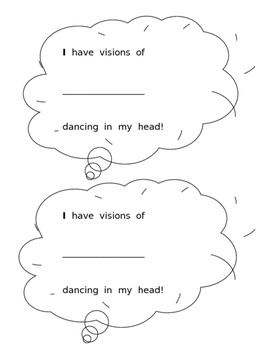 We wrote to complete a prompt about the visions dancing in heads! What do we really want for Christmas?!?! It is a great tie in to talk about when an illustrator draws "dreaming or thought boxes" what the reader understands! It also lead to a great discussion of what "dancing in my head" (figurative language) means. Creating this activity is so easy! 1. Read and discuss poem. 2. 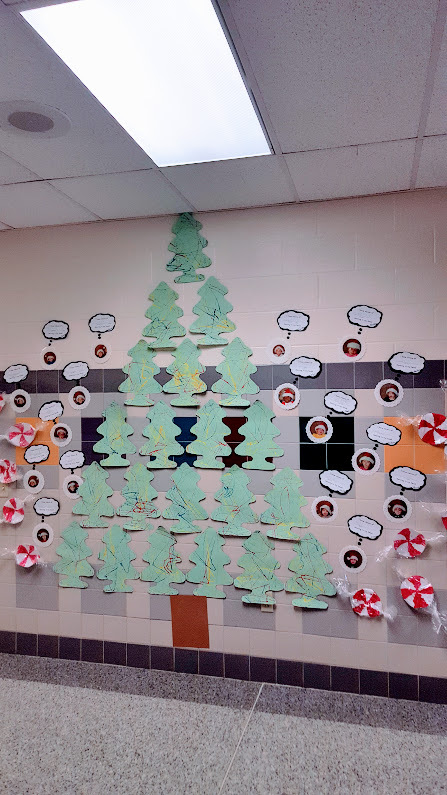 Students share what they are dreaming about this Christmas. 3. 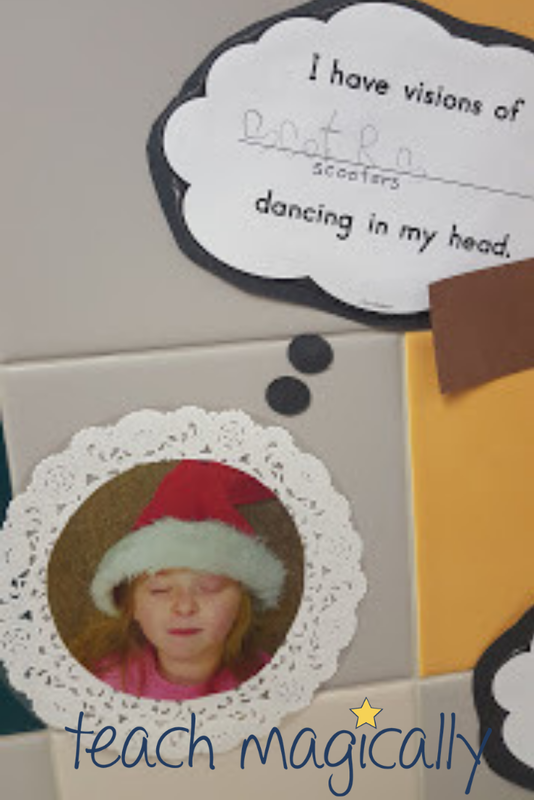 Take pictures of students with Santa hat pretending to sleep. 4. Print and cut out pictures. 6. Complete sentence and cut around edges. 7. Cut and glue to black construction paper. Check out the display of all the crafts we make.